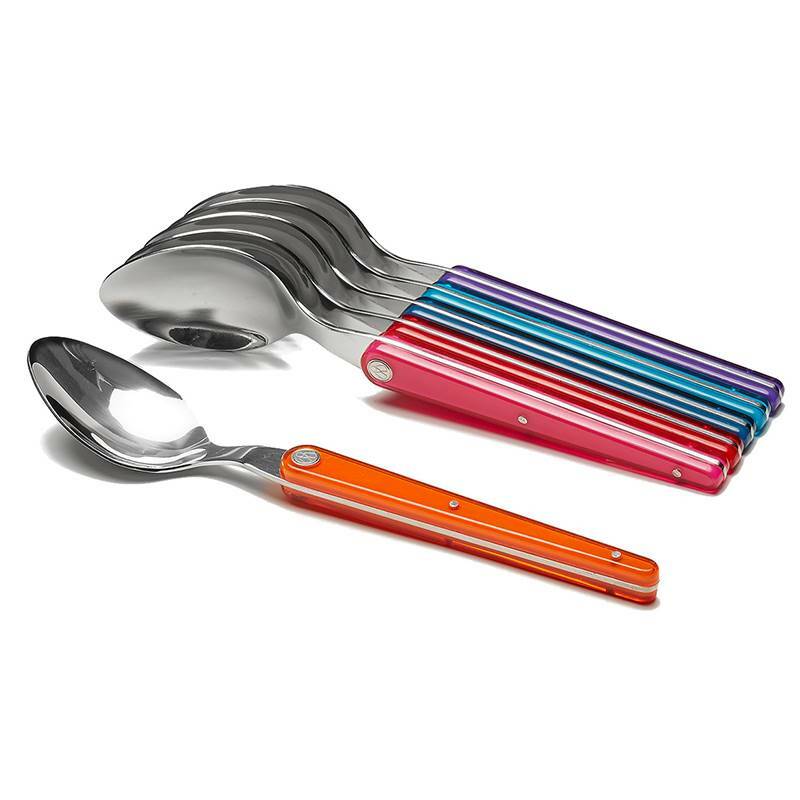 The stainless steel used for the manufacturing of these teaspoons, which design is particularly original, is very rich in chromium. 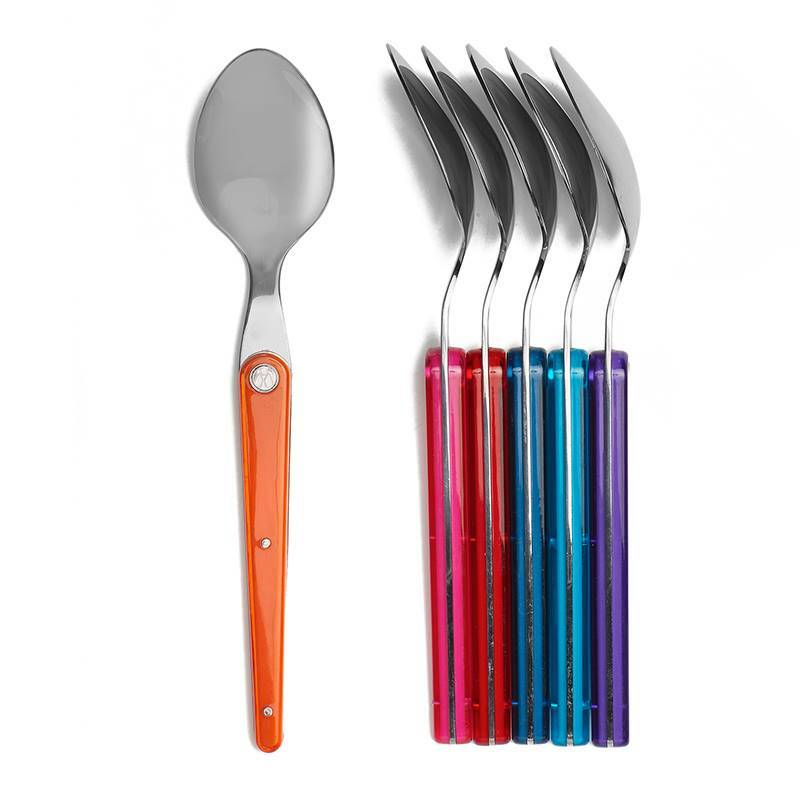 The high percentage of carbon also plays an important part on the hardness of this flatware. 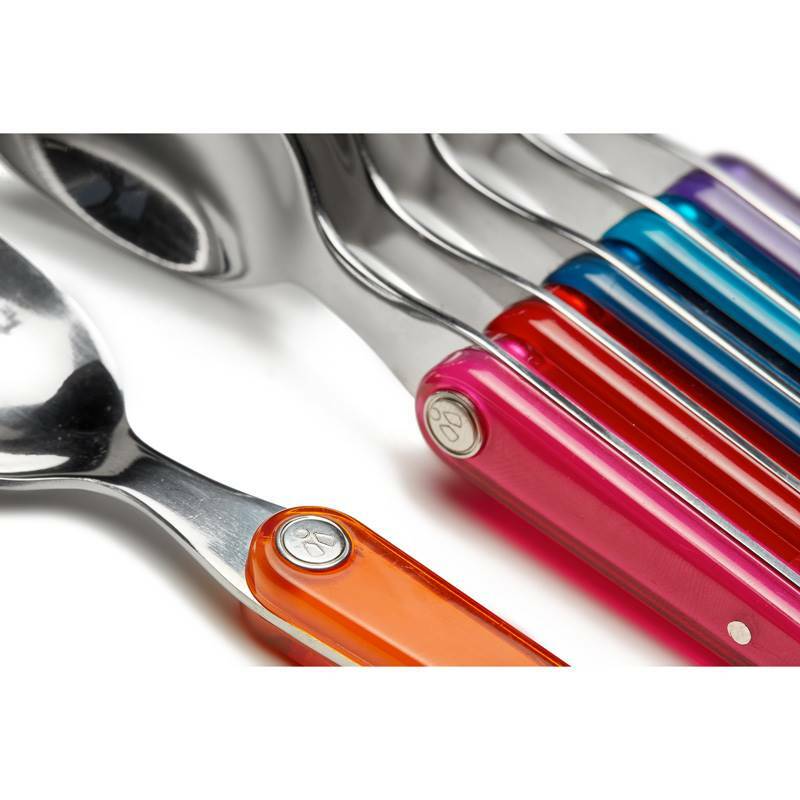 These Laguiole Evolution spoons can of course, be associated to the other coloured flatware of the Sens range: knives, forks and table spoons. According to your mood, you can either attribute a colour to each guest or mix the colours for a fun and colourful table. 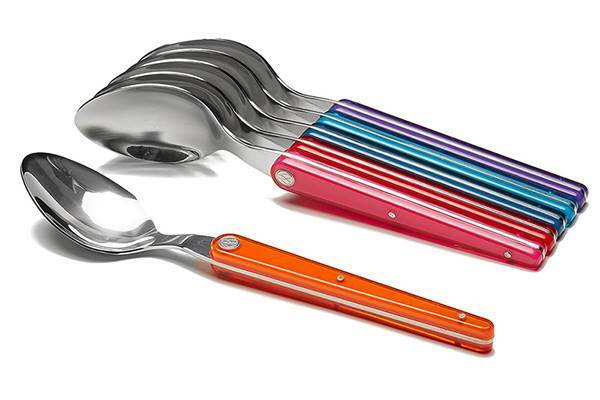 These stainless steel teaspoons display a very dynamic look!